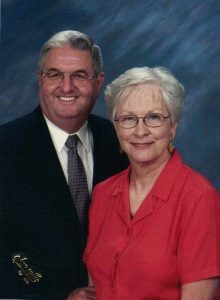 On April 7, 1957, at First Baptist Church in Pinckneyville, Illinois, I married my high school sweetheart Robert Parmer. He was between Great Lakes Boot Camp and his first duty station in Norman, Oklahoma. Perfect timing for a wedding! My mom and I sewed furiously on my gown. We bought the material in St. Louis for about $40. She was an excellent seamstress and would cut the skirt sections and I would pin them together and give them back to her to sew the seams together. My veil was borrowed and I wore crinolines under the dress (which I am sure we made also). 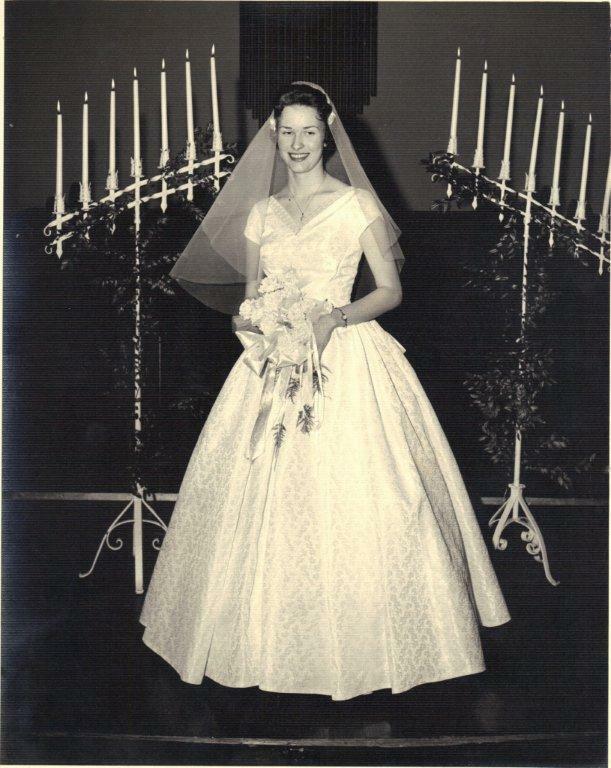 My wedding gown was simple but beautiful and even in black/white pictures, the patterned design clearly shows. 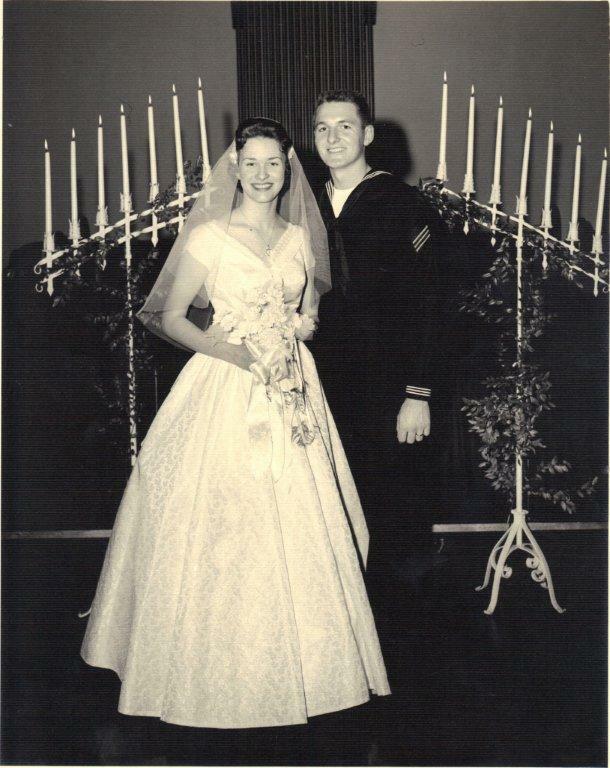 Robert and I both graduated from high school in 1956 and we were together until Robert died on December 27, 2014.My dress traveled with us throughout the country — and I also have Robert’s dress blues uniform! 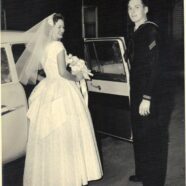 There is much I could say about the wedding in all of its glory, but our marriage was exceptional in the 57 years we were together. He was a fine man and I think he would be proud to see this beautiful dress honored in this way. And my mom would also! Thanks so much for sharing this with us, Pat!